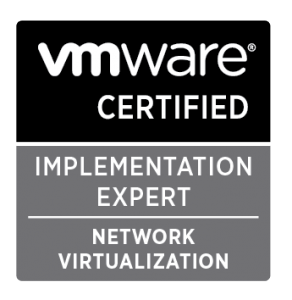 VCIX-NV Exam Recap - VIRTUALIZATION IS LIFE! What a effort that was! Today I sat and passed the VCIX-NV (VCXN610) exam and I can say that this exam has taken a fair bit out of me over the last month or so. I had been aiming to take this exam late last year but other commitments got in the way and I took my first shot at the am a couple of weeks ago…more on that first attempt below. Back to todays attempt, no more than 45 minutes after walking out of the local testing center here in Perth I had the Score Report email in my inbox with a Pass score. As mentioned above this was my second attempt at the exam as I failed my first try falling just short of the 300 pass mark. I’ll be honest and say that the fail was mostly on me and as I walked out of that first attempt I knew that I had screwed things up and that a pass wasn’t likely. Just got out of the VCIX-NV …Was a horrible exam experience. I’ll let it settle then give some thoughts. As people know with the VCAP/VCIX lab based exams, some questions are linked and you need to be careful to not screw up or incorrectly complete a question as it may impact you further down the track. This happened early on in my first attempt and I knew that I would scramble to make the pass mark however I did have some legit issues with a couple of the questions which has become almost par for the course for people taking this exam. The issues where related to the Web Client and a service account which impacted my ability to attempt a couple of questions. I raised a ticket with VMware Education and managed to get a resit voucher which was pleasing as I wanted to tackle it again as soon as possible and the price of the exam had risen from $485AUD to $618AUD in the space of 3 months between bookings. With that behind me I went into today’s attempt a little more confident but that confidence quickly evaporated as I ran into an issue with a core piece of NSX infrastructure about 20 minutes into the exam. I knew what I needed to do to fix the issue but I had lost time and remembered a conversation in the vExpert Slack VCIX Channel around the fact that you can ask for a time extension from VUE if you run into unexpected technical issues…which I did and after a bit of going around in circles with the local DDLS team I was granted some extra time to complete the exam. I was able to power on from that point and exited the exam room after about 4.5 hours after I had initially started…as someone mentioned in a previous post…this exam is like being in a time vortex. I won’t sugar coat this exam…it’s tough! I have been working with NSX day and and day our for almost two years but found that the actual exam questions where not aligned to my day to day work on the NSX platform. The fact that it’s based on NSX-v 6.0.2 also poses a challenge for those of us lucky enough to have worked through 6.1.x and now 6.2.x NSX-v updates…all I can say is the Web Client experience should be much better for the new VCIX-NV exam thats coming in June. My tip for those who are yet to take this test or future lab based VCAPs/VCIXs is to try and not use the Web Client if you can help it. I spent a lot of time in the VI client which meant less browser redraw times leading to quicker task completion. I would also suggest using ssh over the VM console as the redraw of the SUSE linux background is also a pain. Obviously for NSX you need the Web Client so to save time have multiple browser tabs open for quicker transition and load times. A quick word on the latency…it wasn’t too bad even though I am located on the West Coast of Australia with an approximate 600-700ms RTT back to the Pacific coast US. I’m not going to go through the exam preparation resources as many guys have blogged about what to use to help you pass the exam in addition to knowing the Blue Print off by heart…but the one thing I will say is the the VMware HOL are like gold…specially if you don’t have the resources or entitlement to run up NSX in a home or office lab. A final word of advice is that you do need to get up to speed on networking basics to pass this exam…just knowing how to administer NSX in a vSphere environment won’t be enough. All in all I’m pretty happy to have this notch on my belt as I felt it was a long time coming, thanks to all that helped in my preparation and good luck to all those taking the VCIX in the future. To be sure it was a tough, brute of an exam…I still had fun getting through it. Congratulations on your success. I have also cleared my VCIX exam and i could say that the labs and time management was the hectic one. So guys before appearing real labs make sure you practice some mock labs for sharpening your skills. I have tried those and ir really helped me. Cleared my VCIX in the 1st shot itself. You can see many mock labs for practising, i have tried the labs from VMwarelabrentals – http://www.vmwarelabrentals.com/ they offers good labs and also some study materials which are both good. The labs are given by some other VMware professionals so you can expect the standard.